I was feeling the need to work on something small and “completable” (yes, I know that’s not technically a real word, but needs must, as they say), so I dug out this old kit that’s been sitting in a plastic tub in my craft room since before the flood. 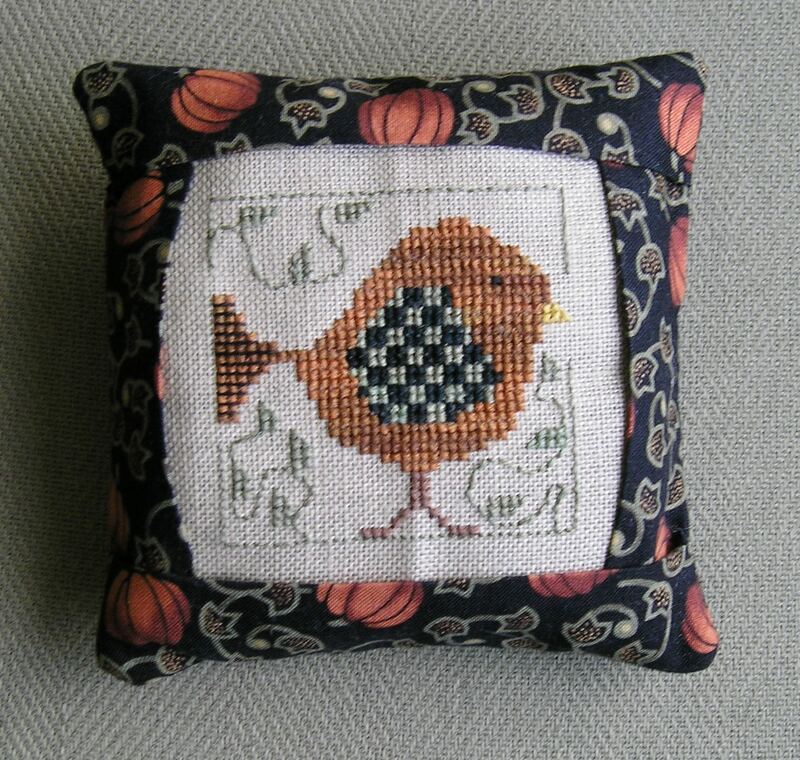 It’s by Heart in Hand and it’s called “Checkerbird”; the kit came with the chart, fabric and the pillow form. I started it a couple nights ago and voila! I simply can’t resist anything with pumpkins on it. The pattern called for Gentle Art Sampler Threads in some of my favorite colors–the bird’s body is Nutmeg, the black is Black Crow, and the green is Dried Thyme. The colors match the pillow form exactly. An aside: I’d like to send a “shout out” to Gentle Art. 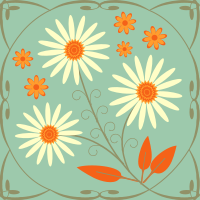 They have been so supportive of my fledgling cross stitch design company. They have been generous with samples of their latest threads and have always responded promptly to my emails. No wonder they have such loyal followers in the stitching biz. Anyway, now that I’ve got this quick and easy pattern out of my system, I can go back to work on the Celtic Band Sampler and some knitting. If any readers out there care to comment, I’d really be interested to know how you decide which projects to do next. Do you like to mix small projects with larger, longer projects? Or do you work one project until it’s finished and then, and only then, proceed to the next one? Previous Post Hat and Booties for Baby Lewis Finished! That bird is really cute! Kate, I’ve looked through your wish list and trades and I have a pattern that you’re looking for and I would love to trade it for a pattern you have that I’m looking for. Just email me!